« September Pub Run | Community Beer Co.
Join our friends at Sandbar Cantina on Saturday, September 29th and support a great cause! 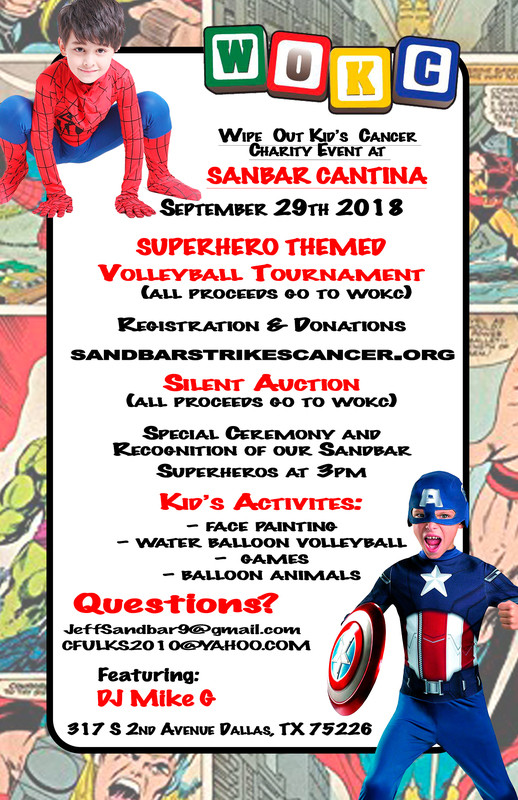 Come out and play in our sand volleyball tournament supporting and raising money for the Wipe Out Kids Cancer foundation. There will be many other activities for those who don’t want to play in the tournament. This day is ALL ABOUT THE KIDDOS, so bring your kids! There will be multiple activities designated just for the kids! Come out and help us raise money for an amazing cause!